Additional Information: An extraordinary three-legged chair . A stylistically carved figure straddles the stool with arms carved to hug the sitter. The pose suggests an exuberant ancestor excited to embrace the new generation. The Makonde of Tanzania and Mozambique are one of the most prolific art producing peoples in eastern Africa. .They are also known for their masks, and their traditional and modern sculptures. 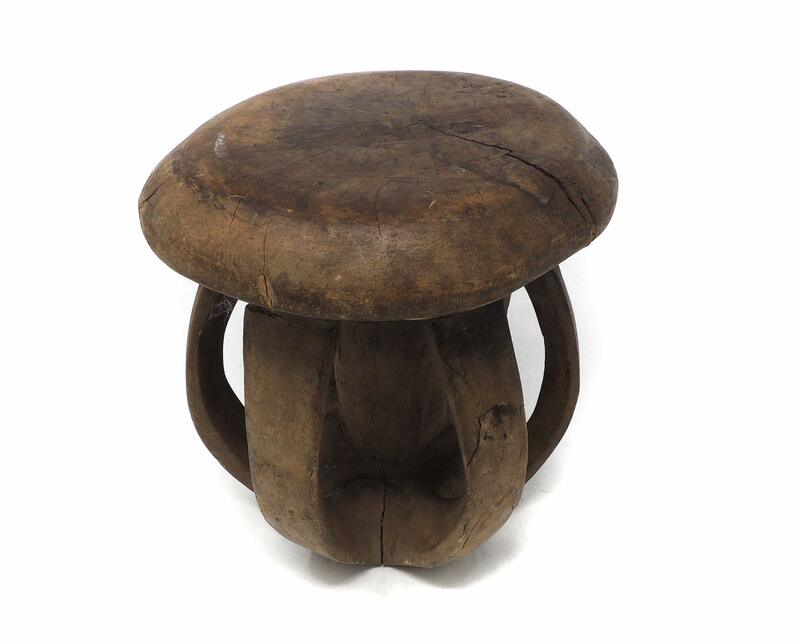 However, Makonde stools or chairs such as this are rarely seen in the market. 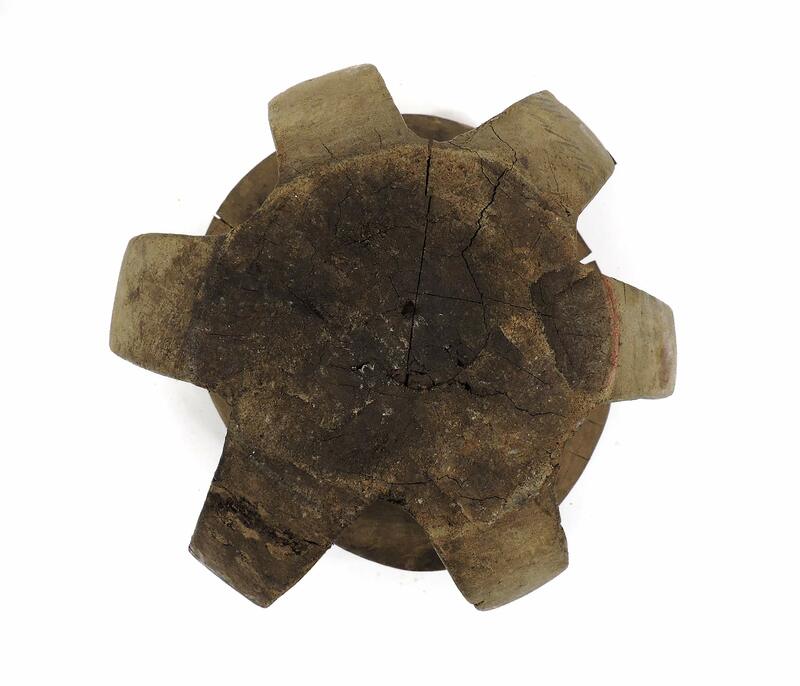 This is another unique stool decorated with a strong carving highly stylized. 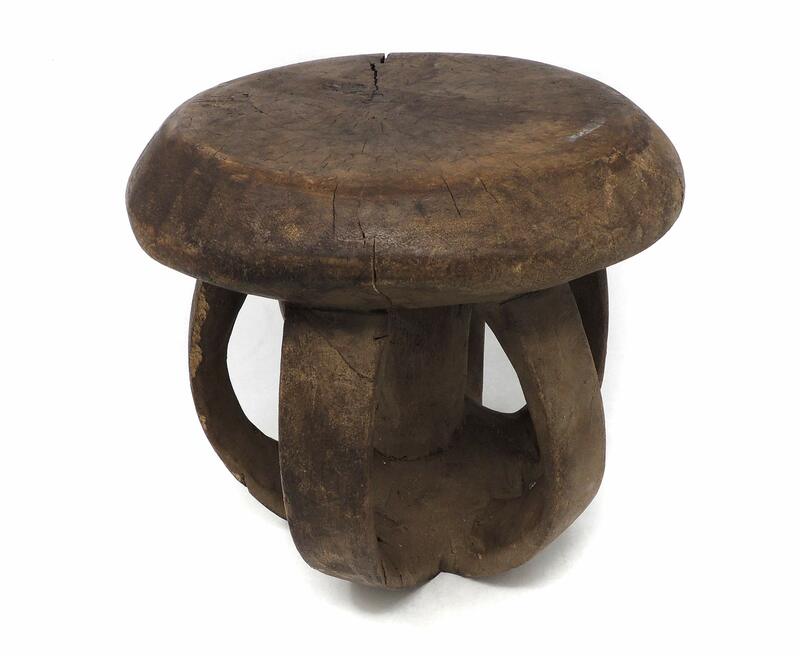 Elaborate stools such as this were commissioned and used by dignitaries. 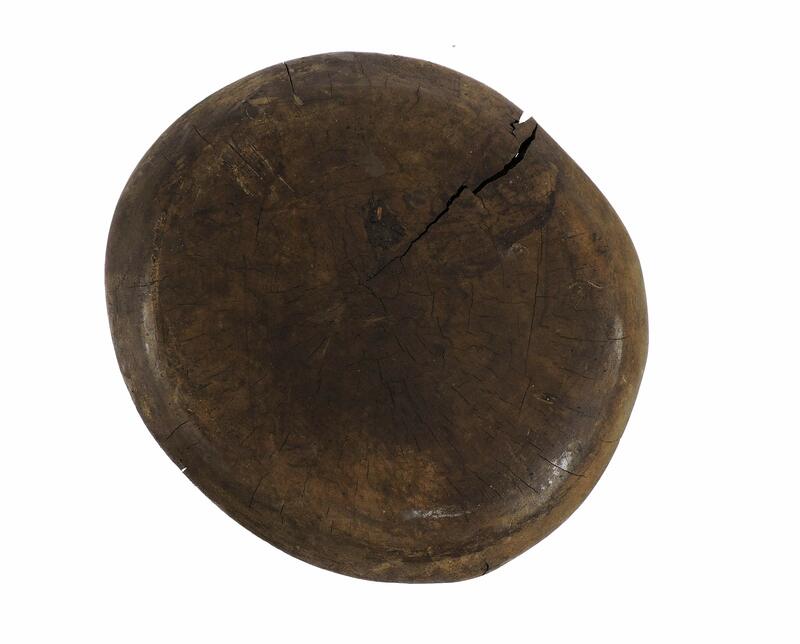 For several splendid examples and more information, see Bordogna's A TANZANIAN TRADITION.